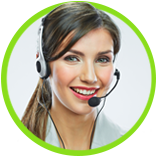 For more than 60 years, Radius Security has provided clients with the best in security services. 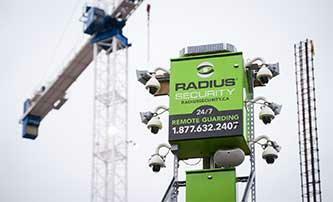 Redhanded™ —using Human Detection Technology™ video-analytics software to catch crimes in progress—is Radius’ unique strategy for securing outdoor assets. 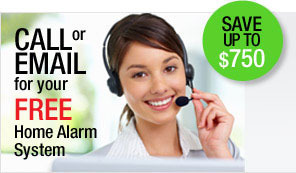 We first developed this security solution at a marina in Surrey, B.C. where our president docked his dinghy. Today, from our monitoring station in Richmond, B.C., we watch over car lots, construction sites and outdoor storage facilities in Vancouver, Calgary, Toronto and other cities across Canada. 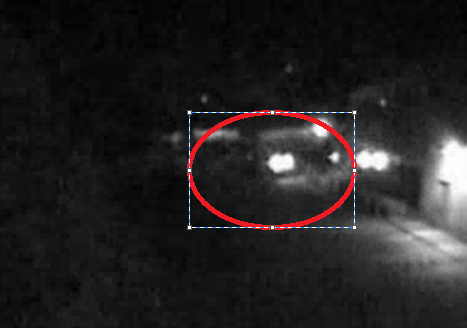 April 4, 2019 (9:48 p.m.) – A suspicious truck drives very slowly around a construction site. The driver rummages around garbage bins before entering a trailer, apparently leaving with a tool. The truck leaves the site briefly, but when the suspect returns, police keep him under covert surveillance. They follow the truck off site and apprehend the suspect. October 6, 2016 (3:55 a.m.) – A man unloads a case from one boat, while a woman unloads and rummages through cases from another. 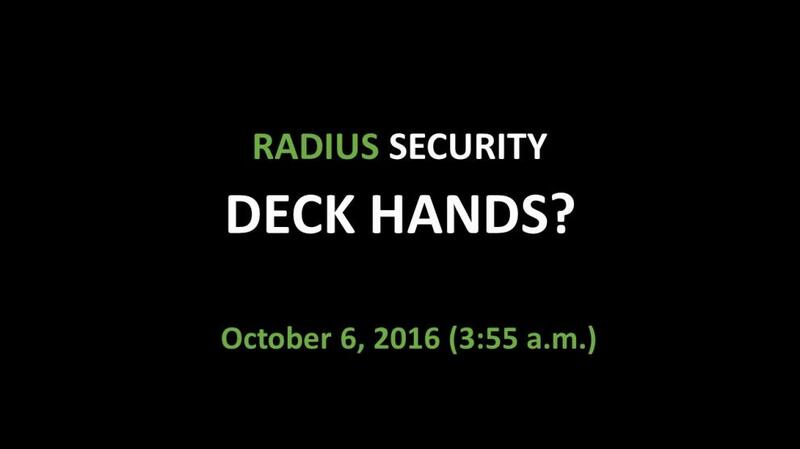 Thanks to Radius, police catch both suspects red-handed. 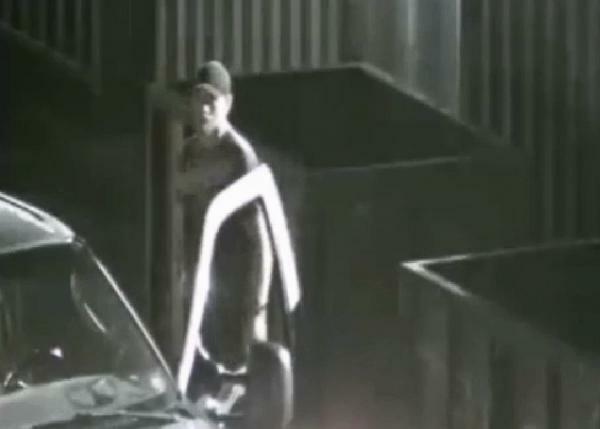 November 24, 2018 (12:29 a.m.)—Redhanded security cameras catch three intruders taking items from a construction site and stacking them along the fence line. 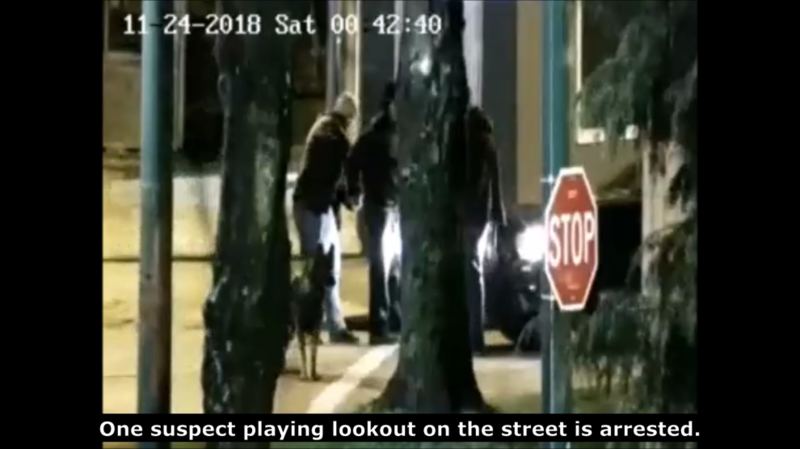 One suspect playing lookout on the street is arrested. Several officers, including a K9 unit, apprehend his partners in crime on site. The trio appear headed for jail. 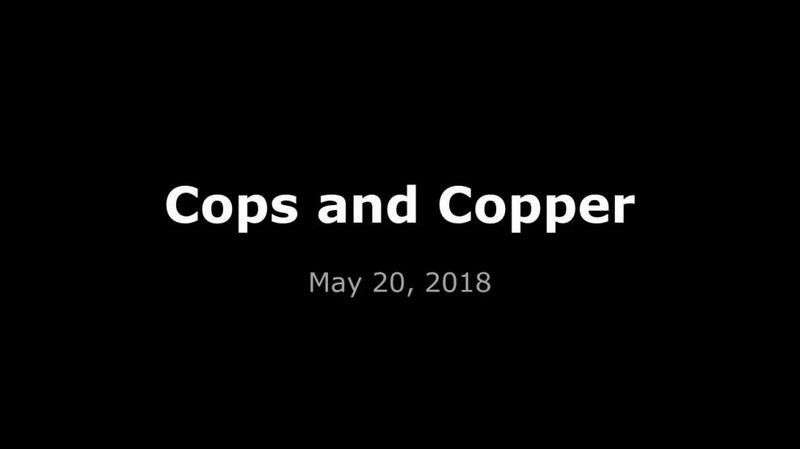 May 20, 2018 (4:21 p.m.) –A suspect takes copper wire and attempts to break into a shipping container using a bolt cutter. When police arrive, he flees to meet his partner. Radius operators direct officers to them and both are apprehended (off camera). February 8, 2019 (4:10 a.m.) – Radius operators watch a suspect tampering with a vehicle at an auto dealership. 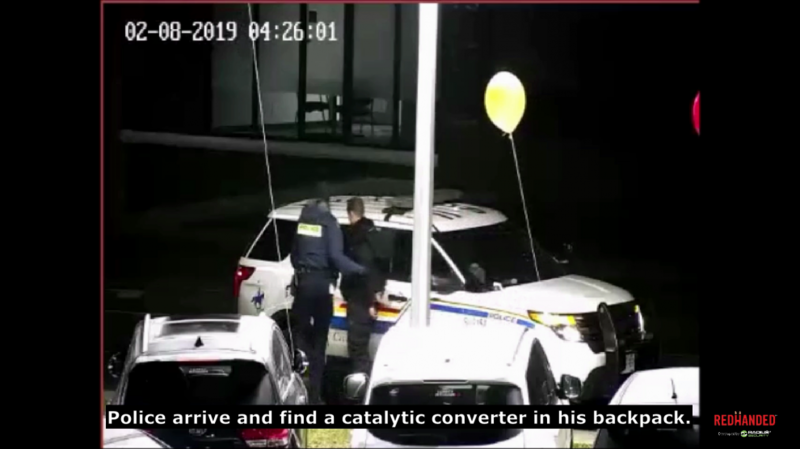 Police arrive and find a catalytic converter in his backpack. 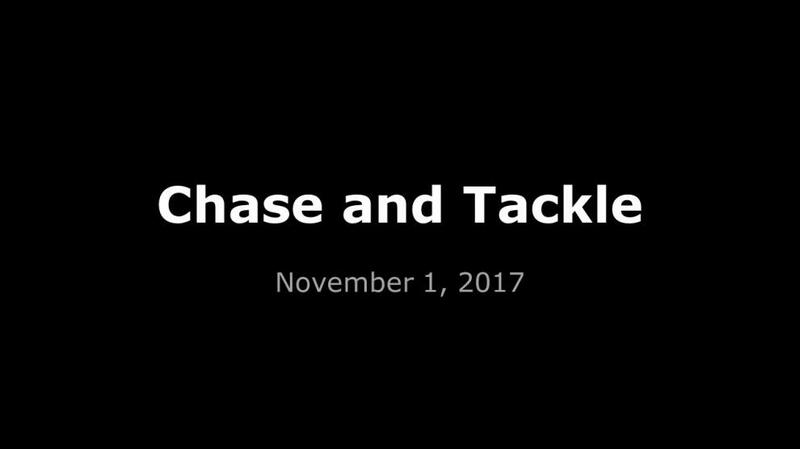 November 1, 2017 (11:44 p.m.) – Radius directs police to an intruder hunkered down between two cars at an auto dealership. The suspect makes a run for it, but officers tackle him to the ground. Caught. Redhanded. May 14, 2016 (3:00 a.m.) – Sometimes, trouble comes to our own backyard—or, in this case, our parking lot. A station operator on his break notices an empty vehicle left there in a suspicious position, and immediately notifies police. Moments later, our pan-tilt-zoom cameras spot the vehicle taking off at 100 km/h and, according to another operator on her break, without headlights. Armed with a licence plate number, police soon impound the car nearby because its driver had no licence.